5. Select the Email Account radio button fill in your name, Email address and password. What’s the difference between POP and IMAP? See this article, it’s worthwhile knowing if you use email for business purposes. 9. 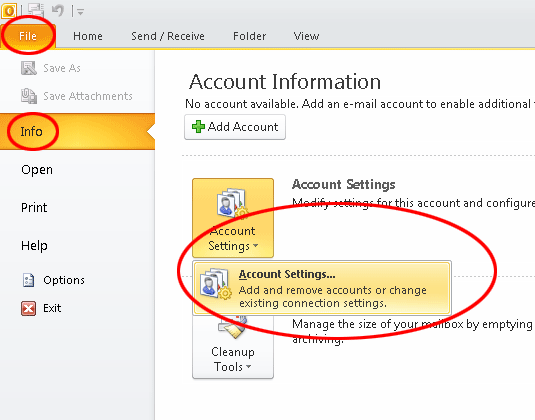 Click Test Account Settings … to verify all the settings are correct. 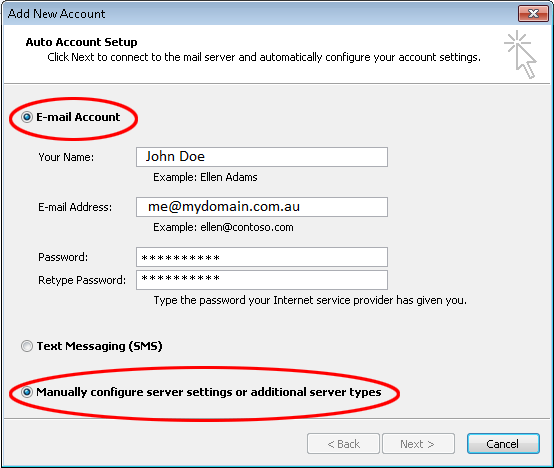 If the “Logon to incoming mail server” fails, verify you have the correct incoming mail server entered. 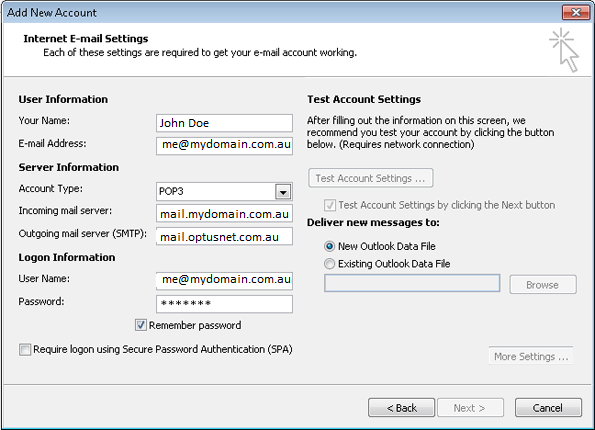 If the Test Mail fails, double check your outgoing mail server settings with your ISP. 10. Once the test completes, click [Next] and then [Finish] to save the email settings. 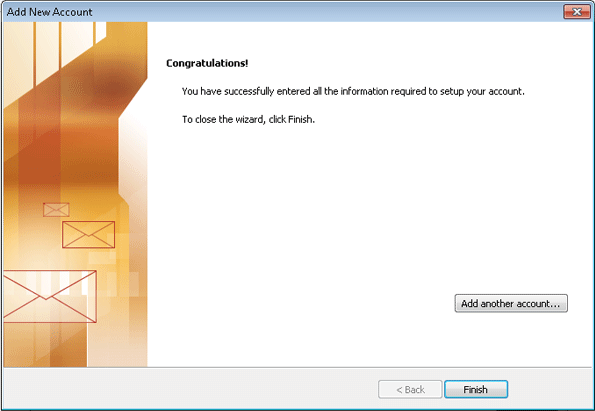 This completes the setup of your email in Microsoft Outlook 2010.